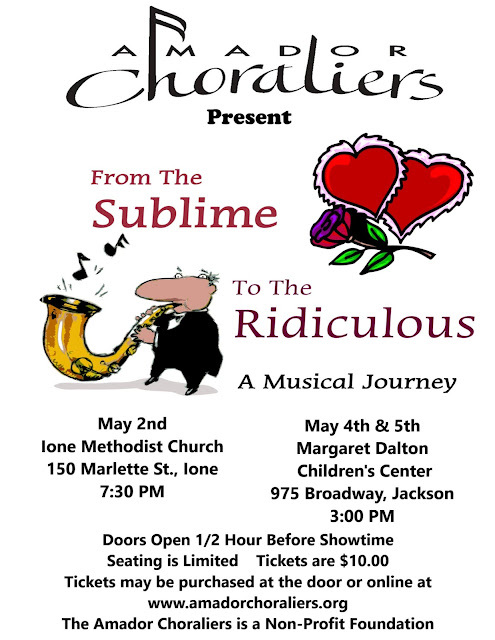 Join the Amador Choraliers as they celebrate their spring concert, “From the Sublime to the Ridiculous, a Musical Journey”. Sublime tunes such as “It Might as Well be Spring”, “Home” from The Wiz, and “Long Ago and Far Away” contrast with the silliness of “Yellow Submarine”, “Hit Me With a Hot Note” and “Diamonds Are a Girl’s Best Friend”. 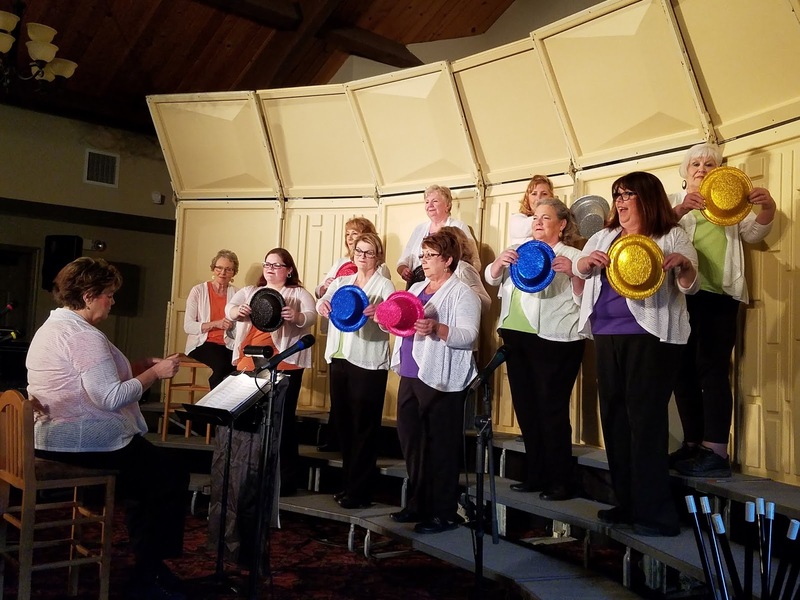 Concerts are Thursday, May 2 at the Ione Methodist Church, 150 Marlette St., Ione, at 7:30 p.m. and Saturday, May 4 and Sunday, May 5 at the Margaret Dalton Children’s Center, 975 Broadway, Jackson, starting at 3 p.m. Doors open ½ hour before showtime. Tickets are $10 and may be purchased at the door or online at www.amadorchoraliers.org. Come enjoy the show and maybe think about singing along with us for the Christmas season; we are always welcoming new members. For further information contact Carole at 209-743-9258.